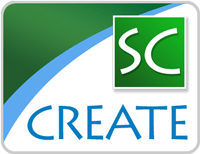 SoftChalk Create (version 8) is now available for Valencia College faculty and staff to utilize. You can download this update, including the new license information, at the LTS Secure Download site. Visit the Blackboard Essentials Self-Paced course inside Blackboard Learn or email onlinehelp[AT]valenciacollege.edu from your Valencia email account for information on how to access this site. SoftChalk Create continues to build upon the success of previous versions of SoftChalk and responds to the needs of digital learners with a variety of new features. SoftChalk’s Smart Mobile technology uses “browser detection” to display the version of the activity best-suited to that browser. This means that learners using older web browsers that don’t support newer technologies will automatically view the old “Flash” activities, while learners using newer browsers and mobile devices will automatically view the new mobile-friendly versions. The end result—seamless delivery of SoftChalk content to all users, no matter their device or browser. You’ll also notice new color style enhancements in all SoftChalk mobile lesson pages. New Keyboard Accessibility features have been added to most of SoftChalk’s interactive activities. 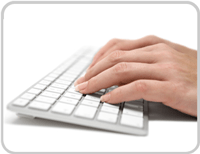 This allows keyboard-only learners to more easily navigate SoftChalk content. New MathML functionality ensures that when math equations are used in a SoftChalk lesson, screenreader software can “read” the equation. 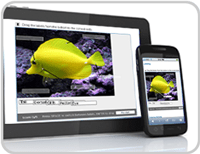 Learners can view text descriptions of audio and video content, as well as content presented using iframes and widgets. The Learning Registry is now searchable from SoftChalk’s Media Search tool, providing easy access to thousands of digital learning resources including the National Archives, The Library of Congress and PBS Learning Media. Learn more about the Learning Registry at www.learningregistry.org. Activities and Quiz Groups found in Media Search can be inserted into a lesson as an editable copy of the object. 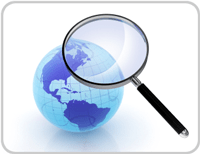 URL links found in Media Search can be inserted in a lesson as a link or embedded as an iframe. Easily save activities, quizgroups and media files to SoftChalk Cloud and re-insert into new lessons. SoftChalk plays well with everyone! SoftChalk content now works with more learning management systems (LMS) than ever before, including Blackboard, Desire2Learn, Moodle, Canvas, ANGEL, Jenzebar, BrainHoney and others. Even better, SoftChalk content can track student score results directly into the gradebook of all of these LMSs. Engage, Excite, Educate! I'm an educator, instructional designer, tech geek, surfer, & social media nerd. Co-Organizer: FLBlogCon, EdTech Orlando, & Startup Weekend Orlando. Featured guest for BlogTalkTV and partner with GottaGetBlogging. This entry was posted in Educational Tools, Mobile Learning, Updates, Web 2.0 and tagged blackboard, education and technology, educational tools, instructional design, mobile learning, Mobile technology, softchalk, software, updates, Web 2.0. Bookmark the permalink.